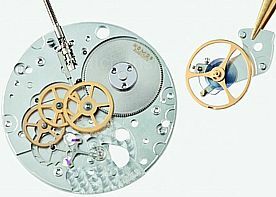 The distinctive blue balance spring can be used to identify Nomos watches using the Swing System which is manufactured by Carl Haas. Silver plated dial with a combination of Arabic and hour markings. The dial contains an off-center subsidiary seconds dial. 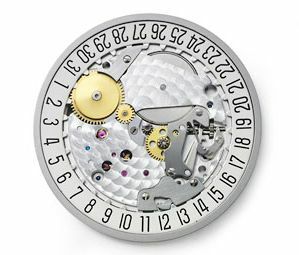 The dial is first sand blasted, then bathed in silver to provide the unique Nomos coloring. The baton hands are made of polished steel and are blued. Verified Owner Comments: Bought this watch for an understated dress watch that was traditional but with a little modern flair. Great fit and finish. I like the interactivity of the hand round movement. I was hesitant about 38mm size for my 7.5 inch wrist, but it’s spot on. 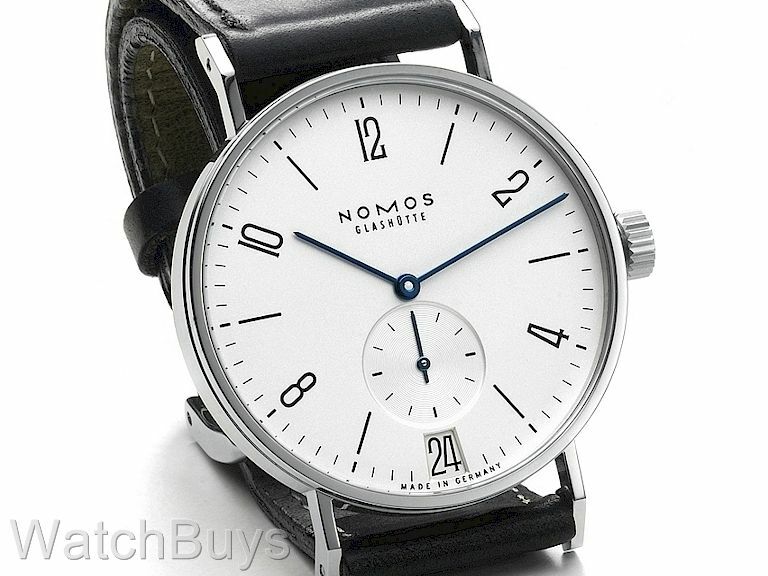 If you’re on the fence, Nomos is an absolute must have for your collection. Great service from Watch Buys! Verified Owner Comments: Beautiful watch that screams quality across the room. A work of art to wear on your wrist. You won't be disappointed. "I Really Love This Watch"
Verified Owner Comments: One day it struck me that my dive watches may not be the best choice to wear with a suit, particularly if I was looking for that sophisticated look. 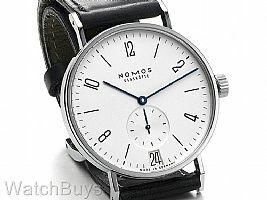 I have owned a Nomos before and remembered the outstanding quality of these watches. For my slightly larger than 7 inch wrist, the 38mm is perfect. These watches wear a little large because of the thin bezel. I really love this watch and it may be the only watch I own besides an atomic G-shock that keeps perfect time. On a final note, I enjoy the manual wind. I once had a watchmaker tell me that the beauty of manual winds is that they need you as much as you need them. I really love this watch.